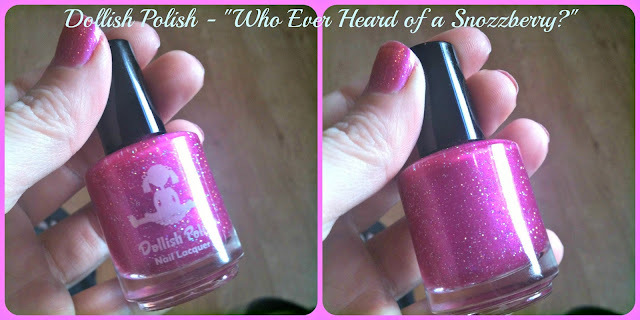 NOTD: Dollish Polish "Who Ever Heard of A Snozzberry?" I feel very lucky to have been able to get this polish!! It has been discontinued, but Dolly, being the lovely person she is, had one around and i snapped it up! I've been meaning to try it since it came through my letterbox but last week was a bad polish week and nothing seemed to go on right! I wasn't alone in wanting to see what this looked like, so this is for you too! The name...come on, i don't have to tell you where this name is from do i? But for those i DO..."Willy Wonka and the Chocolate Factory" (the original one!!) One of my favourite all time films!! The more names i see of Dollish Polishes, the more i love them, as Dolly has great taste in films, series and her names are fantastic! 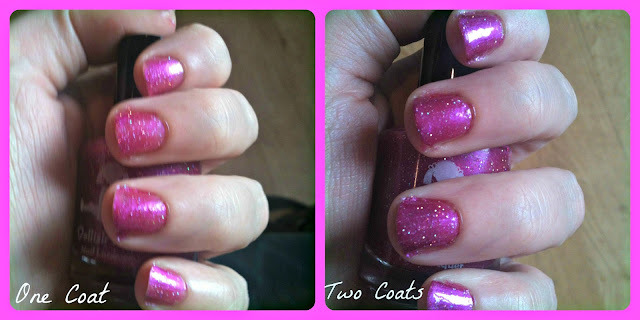 When it was available to buy from Dollish polish it was described as a "gorgeous hue is a bold hot pink shimmer with a slight violet duo-chrome with flecks of hexagon holographic glitter." As with all DP's this went on like a dream. I only needed two medium thick coats to have full coverage. The colour is a vibrant dark pink, pretty, loaded with teeny pieces of glitter which glint in the light! Not a massive Holographic effect, but to be honest, if there was i think it would distract from the fab colour and the glitter that sparkles! I know i have a lot of dollish polishes, and Dolly was kind enough to do a fab interview with me on the blog, it might look like I'm biased....but I'm not! I don't know if its possible for Dolly to make a bad polish.....! 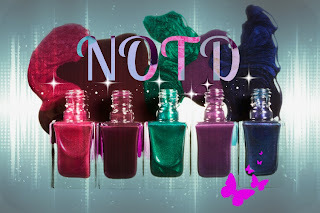 I keep getting them as i love the colours, and shes released a huge batch of new colours on her Dollish Polish website, of which most of them i have earmarked to grab when i come back of my hols!! Its a miserable day here -raining, hailstones, completely overcast, windy and just yukky British weather....this polish adds a lovely splash of colour to the day! 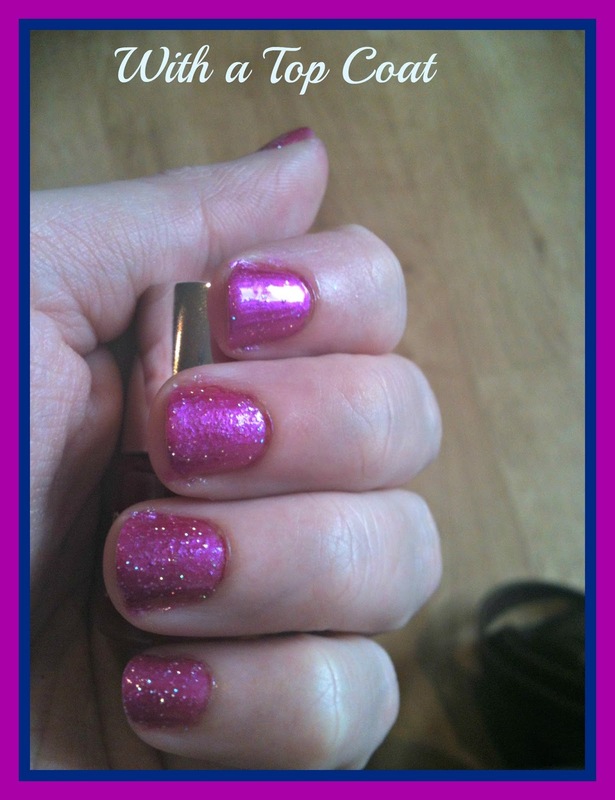 A very cool colour and a fab name, right!! I have a new blog and i've just started following you. I'd love it of you would follow back. Thank you and im glad to have you here!